You’ve just found the best miter saw reviews on the web. We understand how important it is for you to choose the right tool for your cutting needs, and that’s why we created this resource. Our goal is to provide you with detailed reviews of only the best miter saws for the money – if it ain’t worth buying, you won’t find it here. We cover a wide range of equipment including Basic, Cordless, Compound, and of course Sliding Compound miter saws. Currently we are in the process of updating the entirety of our site. Many of the reviews on this site are over 3 years old! Below, you can explore our newly reviewed miter saws. As always, we strive to bring you the most comprehensive and honest reviews of miter saws online. Thank you for your continued support and patience. If you want to take a look at our most up-to-date reviews, check out our Bosch and Makita pages. Again, our reviews and rankings lists are subject to change as existing reviews are updated and new reviews and comparisons are made. Still, you may find our working “best” lists to be helpful in your search for the perfect saw. 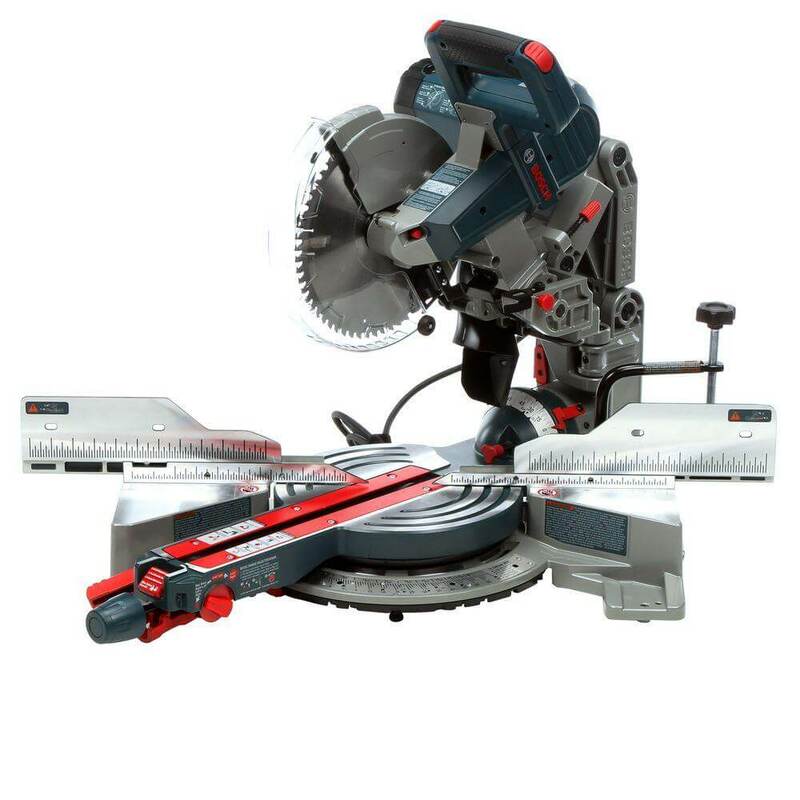 Below, you can browse through our selection of the highest rated miter saws on the market. This list is not categorized by type, size, or anything else. It is also subject to change as we update our entire review catalog. The most expensive sliding compound miter saw on the market is the Festool 561287 Kapex KS 120. This saw is loaded with many different easy-to-use-and-switch-between features as well as some extra safety features. Don’t let the price tag scare you away, between the incredible accuracy, cut quality, and unbelievable customer service package, you will certainly get your moneys worth. 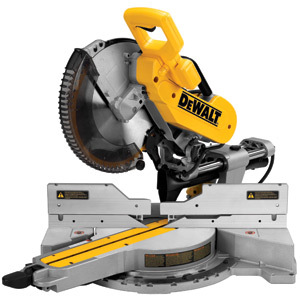 With the DWS780 miter saw, DEWALT delivers everything you would expect from a company with a reputation for quality. This 56 pound machine will guarantee you rugged durability and professional precision for any woodworking task you wish to undertake. Below you can learn why this saw is exceptional and who it’s best for. This miter saw has been stamped with Makita’s DXT (Deep and Exact Cutting Technology) branding. 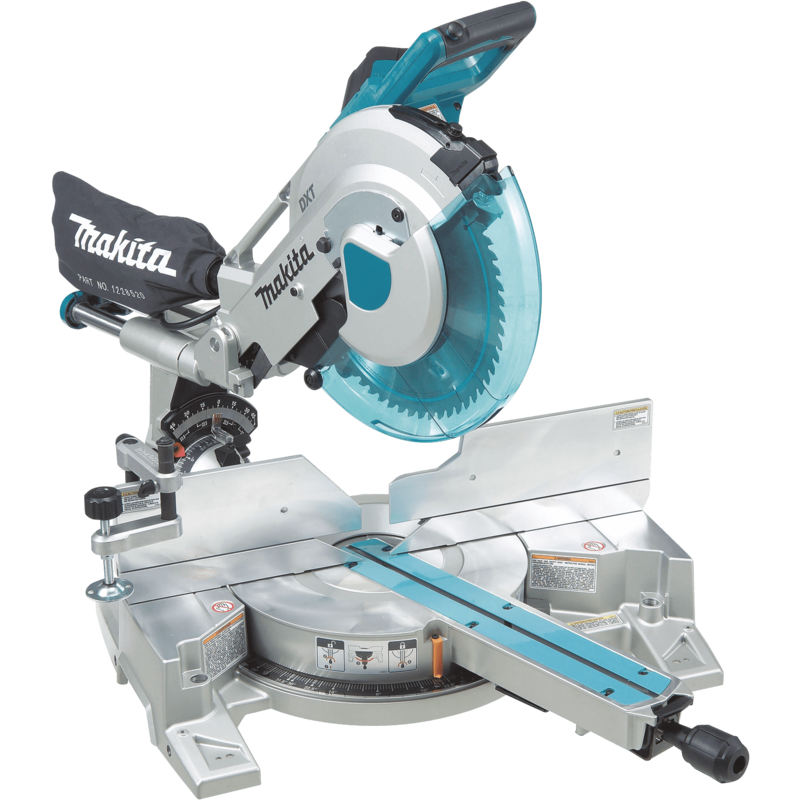 Makita defines DXT as “a series of features that give Makita miter saws more cutting capacity and out-of-the-box accuracy for superior cutting performance”. The LS1216L is for anyone who wants a smooth and powerful miter saw engineered for effortless accuracy. 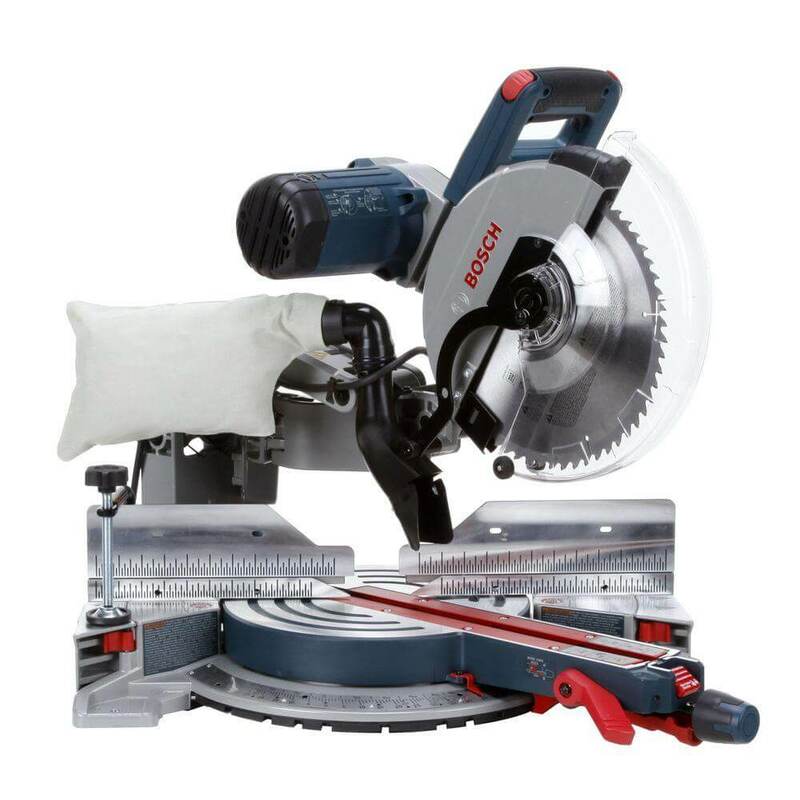 The CM10GD Miter Saw is a welcome addition to the Bosch family, and it fits right in. With a mixture of tried and true mechanics as well as innovative new systems, Bosch has packed a lot of punch into this compact saw. If you’re looking for an accurate saw with cutting edge design from a reputable brand, this saw is worth considering. How Were Our Miter Saw Reviews Prepared? If you’re looking for other tools, don’t forget to check out some of the best table saw rankings over at Table Saw Choice. What To Look For in a Miter Saw? The great thing about a miter saw is its versatility; regardless of whether you need a miter/bevel cut, a cross-cut or a compound cut, this tool will get the job done. It can also be used by anyone, be it an amateur who loves doing his own home improvement projects or a professional making a living through his workshop. Before you read any of our miter saw reviews, you need to determine what it is you are going to use it for. The type of materials you’ll be working most often with as well as the amount of work you plan to do should both impact your decision when buying your new miter saw. Not only that, but you also must know if you will need to do any compound and/or bevel cuts, as not all miter saws are suitable for this kind of work. Finally, you should decide if you need a cordless tool or not. Not everyone has constant access to electricity in their workshop, in which case a cordless tool could be a great choice. 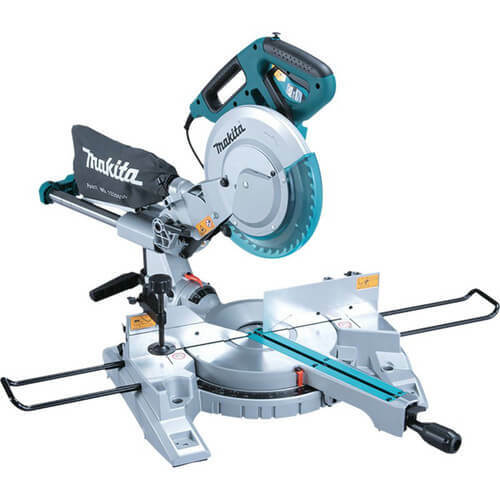 Each of our miter saw reviews lists whether that particular model is cordless or not. What Type of Cuts Will You Work With? The Cross Cut: this is just the typical cut which involves cutting your material to length, just like you would with a regular saw. The Miter Cut: this type of cut is angled across the width of the material you are working with. The Bevel Cut: this is an angled cut that goes through the thickness of the material. The Compound Cut: this one is a combination of a miter and bevel cut. Basically, it’s a cut that is angled across both the width and the thickness of your material, at the same time. Standard miter saws: this is a saw where the blade has a fixed pivot, so it will remain vertical at all times, except for when the table is angled horizontally. Compound miter saws: in this type of saw the pivot can be rotated vertically (to one side), which – in additional to the table’s horizontal rotation – makes it possible to cut horizontally and vertically, in both planes. Sliding compound miter saws: same as a regular compound miter saw, only there are additional arms for the cutter head which can slide horizontally, making cuts in wide materials much easier. Dual compound miter saws: same as above, however the motor & blade can be tilted either right or left. An excellent choice for very complicated projects where many different cutting angles are needed. More about dual’s further below. What Cutting Capacity To Choose? As you have learned above, you can tilt the blade of a regular compound miter saw to one side only, which makes bevel cuts a breeze without any need to tilt the material. However, a double/dual compound miter saw does you one better – the blade will tilt both left and right, so that you will not need to flip the material or move to the other side of your work-surface to successfully complete demanding tasks. Just keep in mind that a dual compound will weigh somewhat more than a regular compound, so please take this into account when making your purchase. We made sure that our miter saw reviews contain the net weight of each machine, which will hopefully help you out. While these are an excellent option for those who have trouble with constant access to a power outlet, it’s worth remembering that a miter saw generally uses up a lot of energy, so even a fully-charged battery will seldom last more than a day’s-worth of heavy work. Because of that, the cordless option is usually good as an addition, and if you want to work in cordless mode 24 hours a day then you need to consider buying extra batteries (they are usually 24V and 18V, depending on the model). 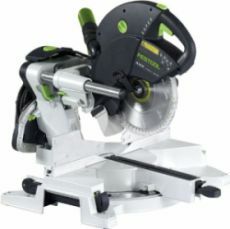 You can also get a lithium-ion-powered miter saw, which generally last longer before requiring a recharge, however they are also often considerably more expensive. Sliding Fence: this type of fence can be effortlessly moved out of the way when you need to make a bevel cut. Dust Port: as the name implies, this feature makes it possible to attach a vacuum and/or dust bag, which will collect the vast majority of dust generated during your cutting work. Extra Miter Cut Range: some models make it possible to tilt the blade by more than 60 degrees. If this is something that you need, then consult our reviews to make sure of the maximum available angle and whether it’ll suit your needs. Laser Guidance: we all know how difficult it can be to properly line up the blade with our cut-line, especially for not-so-experienced woodworkers. This is when a laser guide comes in; depending on the type of laser, it will either show you the exact point where the saw will come in contact with the surface, or – in the case of a dual laser system – it’ll show you both the point of contact, as well as the width of the cut (also known as the kerf). Handle Adjustment: this feature allows you to adjust the exact position and tilt of the handle. Electric STOP System: if you are often in a hurry and need to quickly transition from one cut to another, an Electric Stop/break will allow you to quickly stop the blade from spinning, as soon as 3 seconds after releasing the trigger. There are of course more features available, however the ones listed above are what you will find most often on the best miter saws. We hope that our guides, comparison chart and ratings will make it much easier for you to choose the best miter saw for your specific needs. We constantly update the information here, and remove/add miter saws as we see necessary and when we think it is in the best interest of our readers.